DiS goes behind the scenes and finds out what it's like to plan, organise, book and promote an established European festival. Roel Coppen is a promoter for Friendly Fire, one of the leading entertainment companies in the Netherlands. Specialising in artist management, bookings, publishing, concert promotion and festivals, their reputation has grown rapidly since being founded in 2009. As well as being a festival promoter Roel also has a domestic roster of artists including Seasick Steve, The 1975 and Run The Jewels. However, we’re here to talk about his role as the main booker for Best Kept Secret, the Netherlands answer to Latitude and End Of The Road. Last year's event was one of the highlights of a very busy summer of festivals, and with the likes of Beck, Explosions In The Sky, Beach House, Bloc Party, Editors and Wilco among the first batch of announcements for 2016, this year's - scheduled to take place from 17-19 June - looks set to eclipse 2015's incredible line up. We're here at Eurosonic Noorderslag where many of Europe's promoters and bookers have converged. With schedules running tight and every promoter in demand, DiS managed to spend half an hour in the company of Roel Coppen and learned all there is to know about putting together a line up for a major European festival. DiS: How did Best Kept Secret start? Roel Coppen: The first edition of the festival was in 2013. Basically, we had this idea of creating a summer festival that we’d want to go to ourselves. It’s an easy thing to say but not so easy to put into place! I guess at some point all of the pieces came together and by the end of 2012, we had some of the artists in place for the summer of 2013. We had quite a small team working on this festival, all from Friendly Fire, and it’s still the same team that works on the festival today. Were you influenced by any other festivals? Roel Coppen: Definitely. I always wanted Best Kept Secret to be a perfect blend rather than focusing one type of music. Something like Latitude for example. We’re an indie festival but there should be room for hip-hop and pop as well. It was always our intention to throw as many different styles of music into the mix as possible. Best Kept Secret is located in a safari park around 9km from Tilburg. Did you seek out several locations or was that always your first choice? Roel Coppen: That was always our first choice. With the safari park it’s a unique setting, really beautiful with the lake and surrounding scenery. Production wise it’s perfect as well. There’s a main road running through the festival site so it’s easy to bring artists in and out of the site. Basically it has everything. The holiday homes are an extra incentive for our audience as well. What’s the capacity for the site? Are you looking to expand and increase capacity in the future? Roel Coppen: The total capacity of the site could be around 50-60,000. We tend to use half of that. I don’t think we’d be looking to increase the numbers. Purely because that’s not the kind of festival we’d want it to be. It was always our intention for Best Kept Secret to be a small to medium sized festival. I think it would lose its identity if we were to make it a 50,000 capacity major festival, so this year we’re looking at doing 20,000 tickets. What’s your specific role when it comes to organising Best Kept Secret? Roel Coppen: Basically I’m fully responsible for the line up so all of the artists we book have to be approved by me. I have colleagues working on different parts of the bill such as the late night electronic programme but even then, before anything is finalised it has to go through me. When do you start booking acts for the following year’s festival? Roel Coppen: It starts earlier and earlier every year. I was talking about headliners for 2016 before last year’s edition even took place. And I foresee that in the next couple of months I will have to start conversations regarding the headliners for 2017. But generally that’s just headlining acts. A lot of the offers are sent in September and October so by Christmas I have an idea where we are at. I always leave slots open for bands that are emerging so events like Eurosonic are vital when looking at new acts. Plans are always changing with new acts emerging so we have to be able to give them scope before finalising the bill. How important are events like Eurosonic and The Great Escape when scoping out new artists for Best Kept Secret? Roel Coppen: I see Eurosonic as being a feeder event for Best Kept Secret. It’s become more important over the past ten years along with The Great Escape and South By Southwest. When bands play here they’re already at a certain level and I guess this is a way of demonstrating they are worthy of playing a slot at ours or any other festival. Quite often with new bands we might not have seen them play live yet, so before an offer is put on the table a set at something like Eurosonic could be the deciding factor. It gives us an idea whether an act is right for Best Kept Secret and the kind of slot or stage we can offer them. It’s quite different from how it was ten years ago. Now you’re really scouting bands for future events and everything starts earlier. 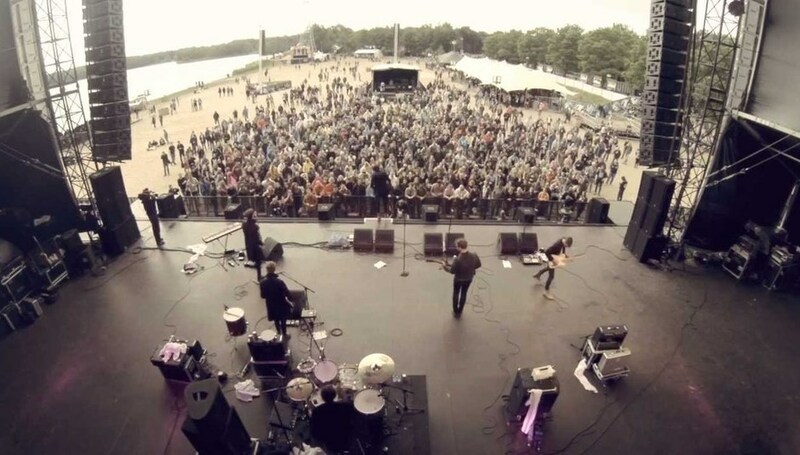 Are there any artists you’ve seen at Eurosonic this week you’d like to play Best Kept Secret? Roel Coppen: There’s 6-8 artists who’ve played at Eurosonic I’m really keen to have at Best Kept Secret this year. Is there a lot of competition with other festivals? Not just in the Netherlands with the likes of Lowlands but across Europe as a whole? Roel Coppen: Our main competitors are definitely the other Dutch festivals. I wouldn’t say festivals around the rest of Europe are a major concern. However, what is becoming an increasing problem is the US festival market. The US festival market has been growing for a number of years, so for example there’s several American festivals in June so now bands have to decide whether they want to be in Europe or the US. So in terms of rivalry, that’s the biggest issue. I do talk to a lot of promoters from other festivals – Sonar in Barcelona, Northside in Denmark and Bergenfest in Norway being two for example – and we share a lot of information so sometimes, if an artist is offered a series of festivals over a 7-10 day period it can be beneficial in persuading them to choose Europe over the US. Would it be unlikely for a band to play Lowlands if Best Kept Secret had booked them and vice versa? Roel Coppen: It can happen that they play both. But what normally happens is that an artist chooses one touring period, so if they’re around in June there’s a good chance we’ll get them for Best Kept Secret whereas if it’s later in August they’re more likely to play Lowlands. But again, we have to try and keep some exclusivity on the line up. Not only to keep it interesting for ourselves but also for our audience. So in a way we are competing with one another. It doesn’t happen very often that bands play both festivals. Has it ever caused a line up to change at a late stage? Roel Coppen: The line up I have at the start of the summer is usually very different from the one I have now. The first batch of names we announced were in my head and in the schedule at that time. The list of acts that can’t play because they’re doing the US is getting bigger every year. It can also depend on plans changing with individual artists and their management or booking agents. Sometimes they might decide not to tour at all after putting a provisional tour schedule in place or the release date of an album is set back. So there are more aspects than competing with the US. The first talks with agents are mostly in summer or September. Has the line up budget increased since the festival started? Roel Coppen: I work within an overall budget for the festival so have to keep that in mind when I’m booking the line up. Sometimes a headline act might ask for a fee that’s bigger than what we had in mind, so I speak to my colleagues about other ways we can try and make that work. For example, we also sell day tickets so try to bridge that gap if it’s a headliner we’re confident can attract significant numbers on a particular day. Day tickets can be an important source of generating extra revenue. How important is sponsorship to a festival like Best Kept Secret? Are more brands approaching you about getting involved now Best Kept Secret is becoming more established? Roel Coppen: When you start a festival it’s important to have a sponsor that understands your target audience and in turn, that can also attract other sponsors to become involved with the festival. I’m currently working on finalising a couple of potential sponsors for this year’s event, but I guess the main sponsor with any festival is who provides your beer. There’s big money involved, so my colleague Niels Aalberts is currently working on that as we speak. There’s also a large emphasis on locally sourced, freshly prepared, high quality food at Best Kept Secret. Do you see that as being an essential part of the festival? Roel Coppen: Definitely. It’s what our audience wants. We noticed in the first year that people found it much more important than we thought they would. You have to think carefully about what your audience wants and it’s become quite apparent good quality food is of high importance. We’ve put a lot of time and effort into detail all around the festival and I think you can see that with the food. What is your ideal demographic target audience for Best Kept Secret? Roel Coppen: I think our demographic is quite broad. The interesting thing for me is that younger kids have the opportunity of seeing bands like Slowdive or Ride. Bands they’ve probably never heard before but read about as influencing their favourite current bands. For example, last year they could see a band like Wolf Alice then watch Ride who Wolf Alice have talked about as inspiring them. I like that connection. I like our younger audience to be able to see bands their parents might have listened to. Also, it goes back to what I was saying about day tickets. People specifically bought day tickets in 2014 to see Slowdive or last year to see The Jesus & Mary Chain. Was it your intention to target the UK market? Roel Coppen: No, not really. We don’t construct the line up specifically to appeal to a UK audience. Last year’s line up had a lot of UK acts but the one for 2016 is going to be quite different from that. A lot of it really is dependent on availability of artists. We didn’t specifically focus on or target the UK, Belgium or Germany but at the same time, I think we are an internationally appealing festival with an internationally appealing line up so there is a good chance people from the UK might be drawn to Best Kept Secret rather than Glastonbury or other British festivals, for various reasons. Is this year’s line up nearly finalised? Roel Coppen: It’s getting there. As I said earlier, we leave several slots open for new and emerging bands, but we have a better idea now of who we might like to fill those slots. So far we’ve announced around a dozen acts and there’s plenty more to come. One name that stands out for me from the first batch of announcements is Explosions In The Sky. Had you been trying for them in previous years? Roel Coppen: I think this is the first time in years they’ve had touring plans with the new album being released. I don’t recall us trying to get them in past years because it was never really an option. But when the agent told me they had touring plans for this summer we knew immediately we wanted to have them here. One minor criticism last year was the lack of late night entertainment after the bands had finished. Are their plans to review and increase that this year? Roel Coppen: Definitely. We’re working hard to have a line up through the night that’s more appealing than it was in past years. I have a team specifically focused on that whereas last year I had to do it myself. We’re also thinking about creating a number of cool spaces around the festival site for this year. Maybe secret stages or areas so we can keep the party going into the early hours. Will there be more stages this year? Roel Coppen: There might be. Finally, if you could choose any artists past or present, who would your three dream headliners be? Roel Coppen: That’s a difficult question! I’m a massive Radiohead fan so I think that’s a dream headline act for any festival. I’m sure every festival promoter would say Radiohead. I think a band like Arcade Fire would be perfect on the lakeside. So what’s my third one going to be? This is really tough. I’ll have to come back to you later. More information on Friendly Fire can be found here. More information on Best Kept Secret including line-up announcements and where to purchase ticket can be found here.